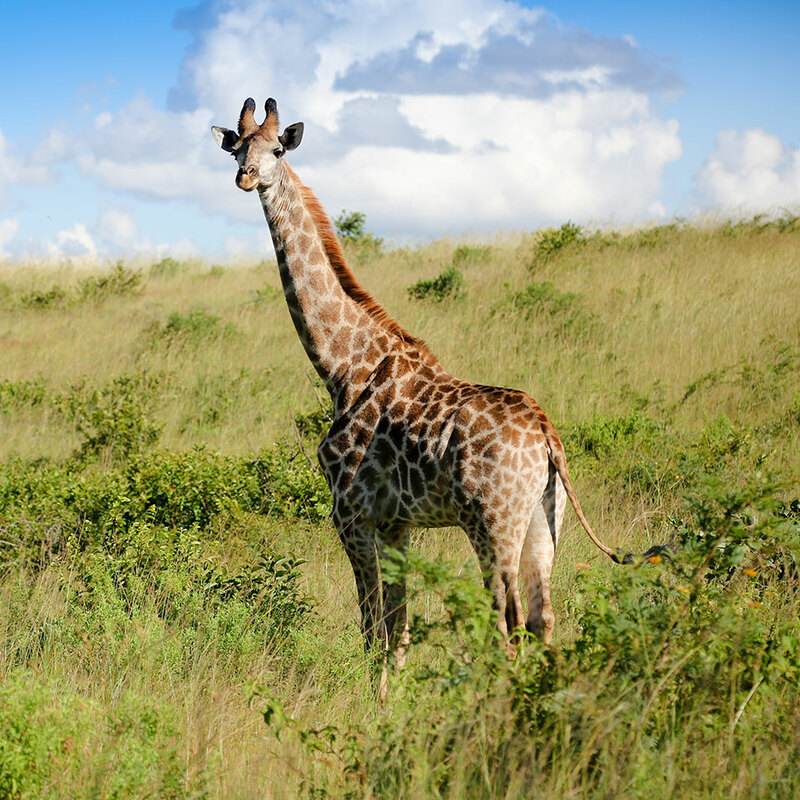 The tallest land animal in the world is one of the most recognisable in the African landscape. Standing up to 5.7m high, over one third of their height is made up of their uniquely long neck. Their tawny bodies are covered in dark brown geometric markings. Oddly graceful for their size, watching a giraffe walk around Muluwa peacefully as they do, makes it difficult to believe they can reach galloping speeds of 60km per hour. Although known mainly for their long necks, they also sport the longest eyelashes in the animal kingdom. Giraffes are social animals and move around Africa’s savannas and woodland areas in small groups called towers. Females form “nursery groups” where one cow is left in charge of the young while the others enjoy some time off from child rearing to eat. Adult bulls determine dominance by a method called “necking”, slamming their long necks into each other until one admits defeat. Did you know? An adult giraffe can eat up to 45kg of leaves per day however they don’t consume much water, drinking only once every few days.